I was really delighted when Janeene agreed to be a prize sponsor for the competition as I was keen to have the Southern Hemisphere represented fully in the list of prize sponsors, and Janeene certainly came up trumps. If you haven't come across Janeene's store before you will not be disappointed, she carries a great range of stock and her service is second to none. I'll let Janeene fill you in on how she came to be a Quilt Shop owner.
" I am a mum of 4 lovely children (young adults now) who has a love of sewing and craft.I have been sewing since the age of 12, making my own clothes (without patterns). 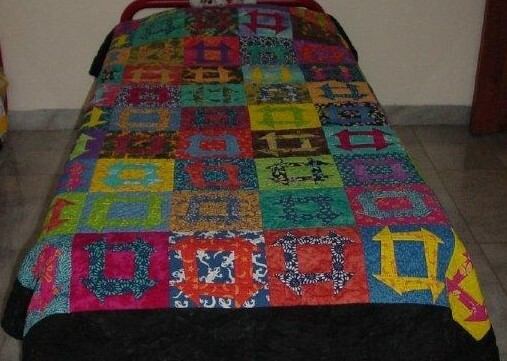 In 2000 the family moved to Indonesia to live and this is where I learnt to make my first patchwork quilt. We lived in a small oil field camp, with mostly American families. My lovely American friend taught me the art of patchwork. In the following 4 years I made about 13 Quilts, then in 2004 we moved back to Australia and settled on the Sunshine Coast. With a busy life at home on the Sunshine Coast with 4 children and a husband that worked away overseas I did not have much time for sewing. My husband and I often talked about buying a business and in 2012 I saw a business for sale in the paper. Now, my husband always wanted a ‘manly’ type of business like a Steel Shop…. So when I told him on the phone I had found a business that I would like to have a look at. I said to him “I have found a business I would like to have a look at, but it is not very ‘manly’” And the rest is history. We bought my dream business…….and relocated it to our home at Cooroibah. I am a patchwork, quilting and sewing enthusiast, which helps me understand my customers’ needs and requirements. I love what I do and my aim is to please my customers by providing great products, service, price and advice…. " Fabric Patch stocks an extensive range of Moda Pre-cuts, Patchwork & Quilting fabrics and a huge range of sewing, quilting, clothing and stitchery patterns and books from the world’s leading designers, such as Amy Butler, Amy Bradley, Kids Quilts, Bunny Hill, Cinderberry Stitches, Coach House Designs, Favourite Things, Gail Pan Designs, Hatched & Patched, It’s Sew Emma, Janelle Wind Collection, Leanne’s House, Melly & Me, Natalie Ross in Stitches, Rosalie Quinlan Designs, The Birdhouse, Zen Chic and many more… You can browse patterns by designer or by category. These include Bag, Quilt, Doll, Soft Toy, Stitchery, Embroidery, Pillow / Cushions & Christmas patterns. 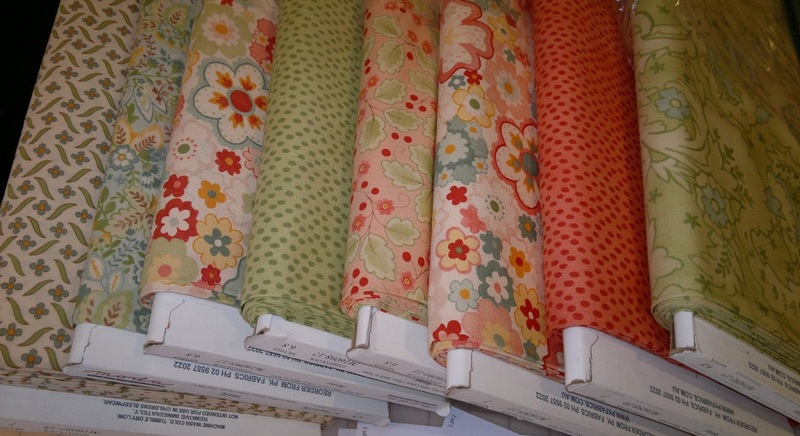 We also stock Olfa & Clover Products, Felt, Pom Pom, Lace Daisy and Ric Rac Sewing Trims, Bias Binding, Fabric Kits, Lunch Bag Kits, Creative Grids, Rulers, Rasant Thread, Batting, Parlan, Designer Pins, Lecien, Michael Miller and Riley Blake Fabrics. We aim to have the most comprehensive range of Jelly Rolls, Layer Cakes, Charm Squares, Fat Quarter Bundles and matching fabrics. 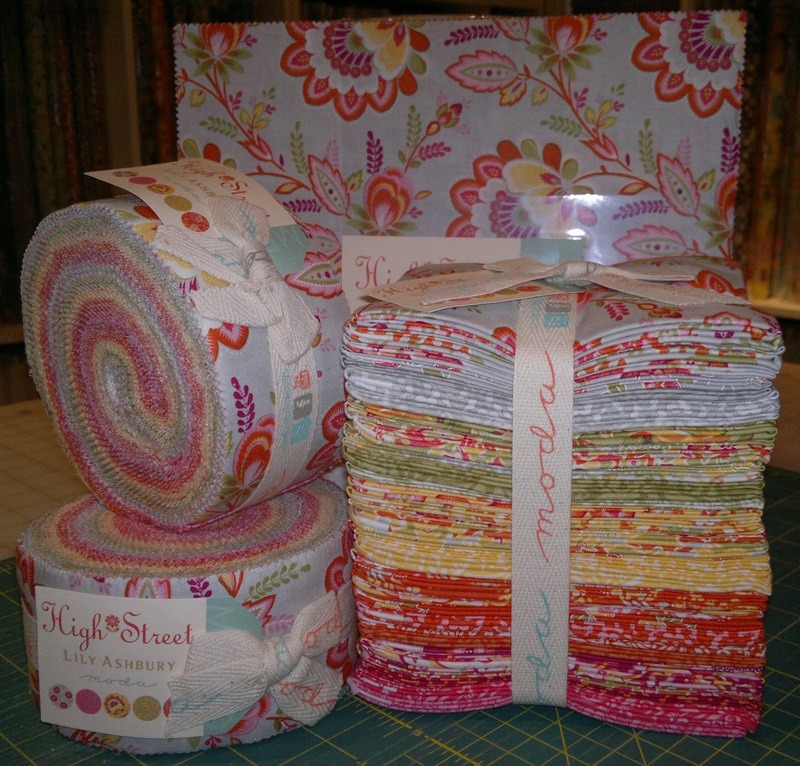 Labels: "Fabric Patch", "Holiday Memories Mini Quilt Competition"
What an interesting story of how the shop came to be! Nice to meet you Janine! Thanks for being a generous sponsor of Celtic Thistles challenge.